Every time my good friend Fred Norris plays the ‘Wow’ sound clip, I have it stuck in my head for the entire day. So is the same for the Doritos Jumpin’ Jack Chips. Every since I first opened them up, they have been stuck in my head. As I replay the experience of eating the chips, the ‘Wow’ sound clip plays over and over. And these chips, with their Retro Packaging, are so darn good and tasty that I feel free to add a couple of O’s in there. Not only do I say ‘Wow’ but, I really say WoooooW. These Limited Edition Doritos came out maybe a month or so ago. I knew right away I wanted to try them but, I was hesitant about buying a huge bag. Finally, after weeks of searching, I came across a smaller sized bag at the gas station and grabbed it right away. When I opened these chips, they appeared to be similar in look to the Cool Ranch variety. I did get a whiff of pepper jack cheese when I opened them…a promising sign indeed. I figured these had to be good…I loved the Limited Edition Taco Flavor and really think Doritos should bring them back. Grabbing my first chip, I placed it in my mouth and began to eat. WoooooW. The first thing I noticed was how true the flavor of pepper jack was. Like I’m talking beyond true. 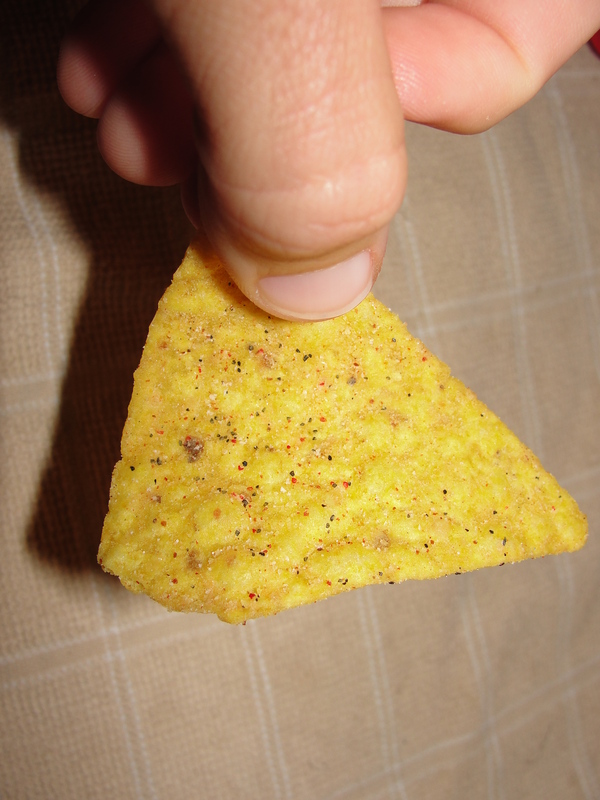 Doritos and their Flavor Technicians nailed this flavor. It was perfect. As I chewed the chip, I experienced a few different things. First off, was the trueness of the pepper jack flavor. Second was the creaminess this chip had. I know it sounds bizarre to put creamy and chip together but, this chip found a way to do it. It was almost as if the chip had the creamy consistency of a true piece of cheese. And finally, the chip had just the slightest bit of a pepper jack kick to it. By no means was this chip spicy but, I could definitely feel it kick me just a bit. The combination of these 3 features, all coming out at their own time, put this chip over the moon for me. I continued to eat a few chips and I had a few more today. On both occasions, I am left totally digging these chips. I could easily eat an entire bag of once but, lucky for me, I have some self-control. I will have no problem picking up a full-sized bag of these suckers and enjoying each and every one of these. 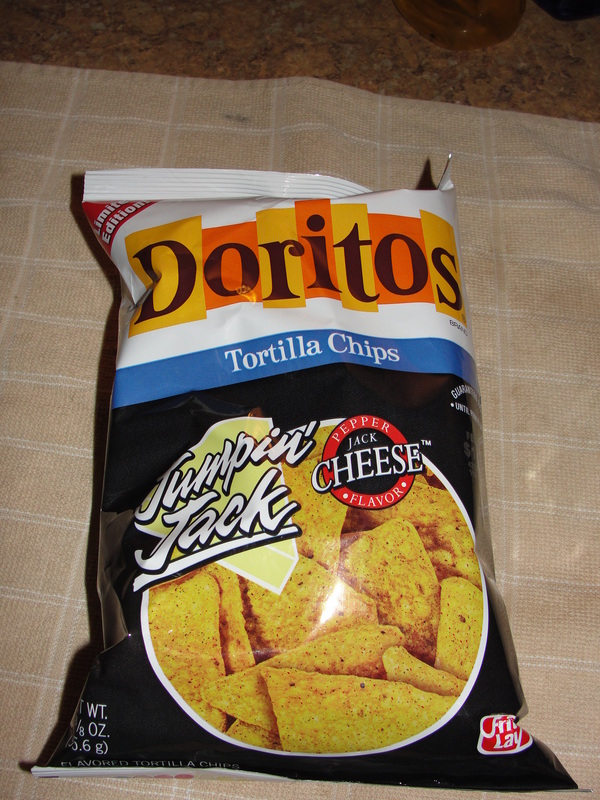 In addition to the Taco Flavored Doritos, the Jumpin’ Jack Chips are a flavor that should say. Trust me…try one and you will get to experience some of the best flavors you have ever had on a chip. Doritos really knocked this one out of the park and left me saying WoooooW over and over again.